In good hands. In peace, warmth and lightness of heart. We are firmly convinced that true strength and genuine riches depend on the simple, essential ingredient of peace and quiet. In feeling completely at home with yourself. In arriving and wanting to stay. In content and tranquillity. This is why we have created the Vitalbereich, which gives you space to feel this very same inner balance. In the sauna. In the steam bath. In the sanarium. In the infrared booth. In the relaxation area. On the cuddle-up sofas in the tea bar. And for refreshment every now and then in the cold air room or the special shower experience. "The power of the Alps" is put to work here with selected products from the house of Alpienne. Indulged with care and a great deal of sensitivity, your well-being is in very good hands with us. 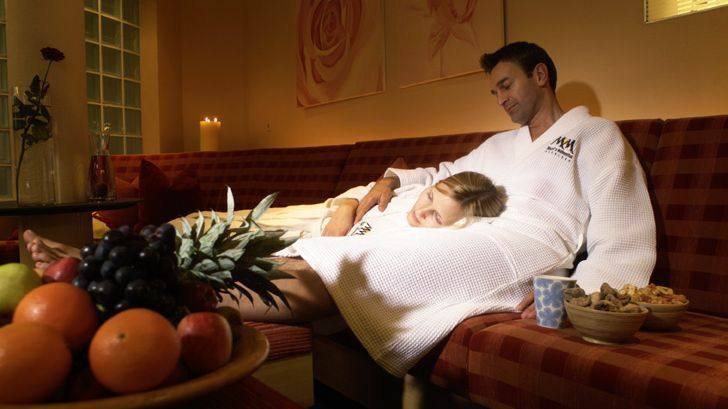 Enjoy the great range of massages we offer with selected Alpienne natural products and indulge all your senses, secure in our Vital spa area with its private lounge atmosphere. The scent of this wood creates a atmosphere of well-being. 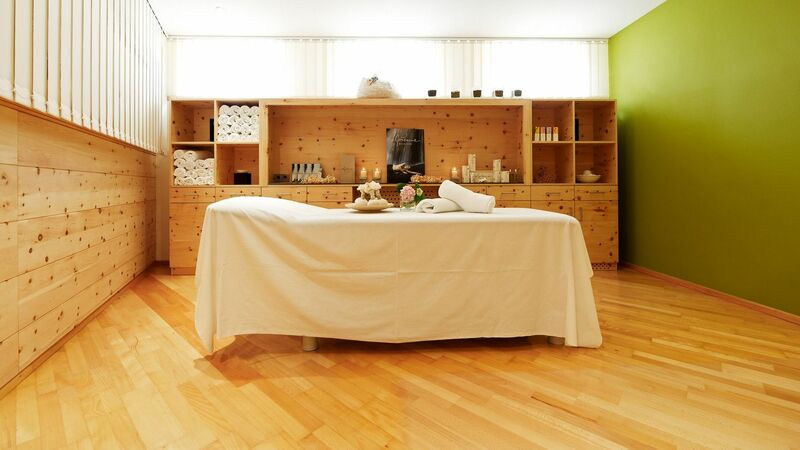 Our professionally well-trained and certified masseuse is available on MONDAYS and WEDNESDAY from 3pm until 8pm. Should no appointments be available on either of these two days, we will be more than glad to book a massage appointment for you for FRIDAY. Our reception staff will be more than glad to take your reservation. The original one from the north. Hot (80° - 90°C), but at only 10% humidity it opens the pores and cleanse the skin. If you like it really hot, sit on the top bench. The gentle way to take a sauna. The bio-sauna is based on the effects of radiant heat and various changing colours of the spectrum. It relaxes the muscles and stimulates the heart and circulation. Ever since the Roman caladaria, people have treasured the combination of gentle radiant heat and high humidity. At about 42°- 45° C the body is thoroughly cleaned. Finely atomised essential oils of eucalyptus and mint cleanse the entire respiratory system - a real benefit for the lungs and bronchial tubes! at a maximum room temperature of 40ºC. The deep heat is created by the long-wave infrared-C rays that have a particularly non-stressful and gentle effect on the body. The changing coloured lights are used in a very targeted way to inspire moods. This will speed up your circulation! After the heat, go out into the fresh, cool mountain air, breathe deeply, feel cold snow on your feet, sit on one of the tree stumps for a little while, let the stimulating freshness work on you and at the same time watch the pleasant colours of the coloured lights system in our cold room. It´s teatime! Come and help yourselves! From green tea and slimming fitness tea to teas to lift your mood - at our tea bar, we'll meet your every request. We also offer fresh fruit syrups and little snacks such as nuts and dried fruit. Let the room, the wall of light, the colours, the atmosphere work on you. Lie on comfortable loungers in cosy warmth and soft lights and really relax, enjoy and unwind. this coming and going, this constant ebb and flow that is the pulse our lives. Water is the fundamental force of our being. To maintain the full power of this life-giving element, we make use of theEWO water vitalisation method in our house. 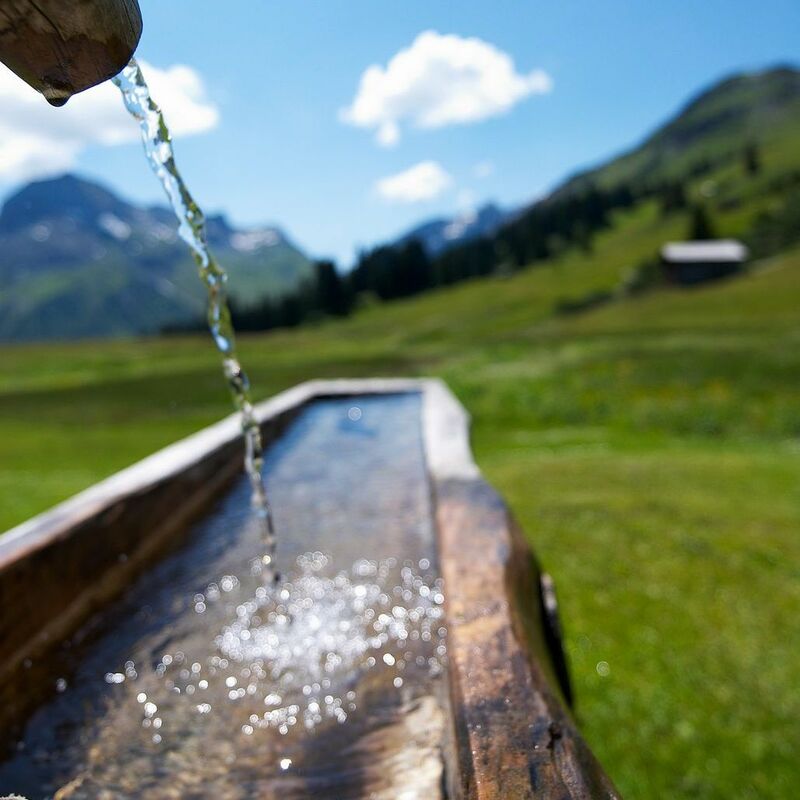 It helps us recreate the original quality of the water and helps the water molecules to transfer their natural information, which has been reduced on the way from the source to us. During your stay, enjoy the improved flavour of vitalised drinking water, which we also use in the careful preparation of our meals. Yet in other areas, too, we treasure the benefits of water vitalisation. The softer water, with its more stable bacterial culture, supports us with its increased cleaning and washing power, meaning that smaller amounts of cleaning materials are needed. Lime and corrosion deposits are reduced, the water contributes to a longer shelf life for many foodstuffs and – to delight us all – improved plant growth, producing lavish blooms all the year round to provide the most beautiful decoration. More information on the effects and the method can be found at www.ewo-wasser.at.